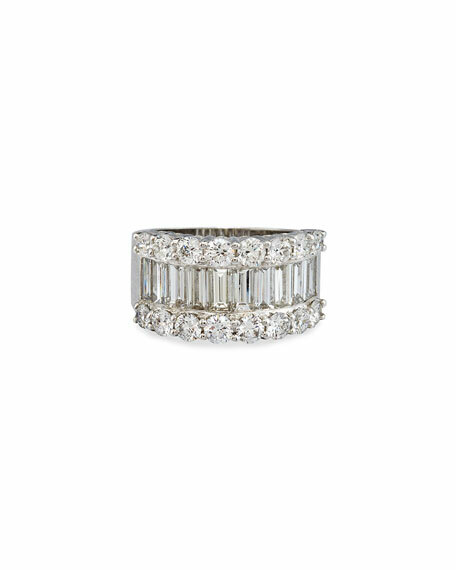 Bessa ring in 18-karat white gold. 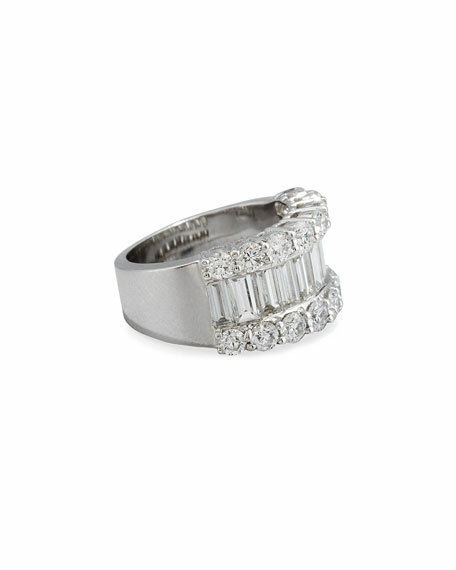 Tapered band with prong-set, round diamond borders. 1.85 total round diamond carat weight. 2.03 total baguette diamond carat weight.